*Update - We have pictures with an actual baby! Hooray! Big thanks to Sister and Niece for posing! 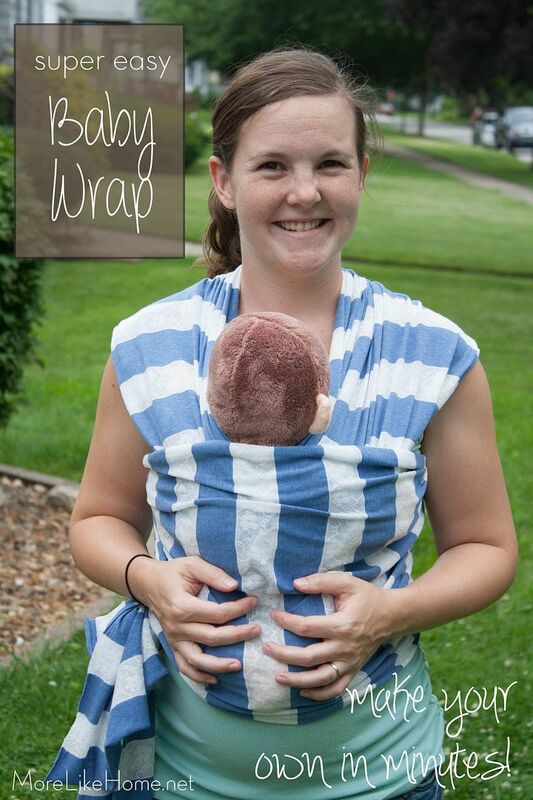 I know I've said it before, but a stretchy wrap is still our favorite way to carry a tiny baby. 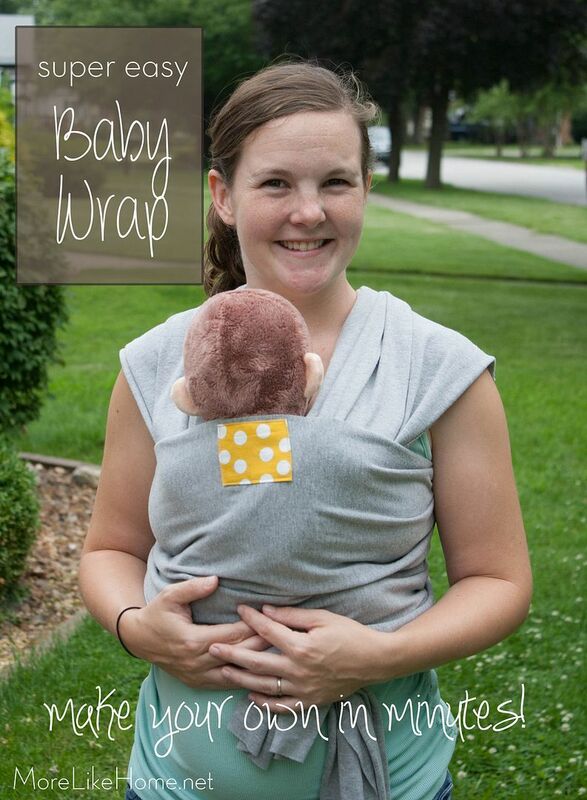 With baby #3 on the way, we decided it was time for a new stretchy wrap just for him/her! Two years ago we made one with a really pretty center panel (tutorial here), but it turns out we're just not really red people (and Husband isn't really feeling the flower power) so we decided to tone it down a bit this time around. 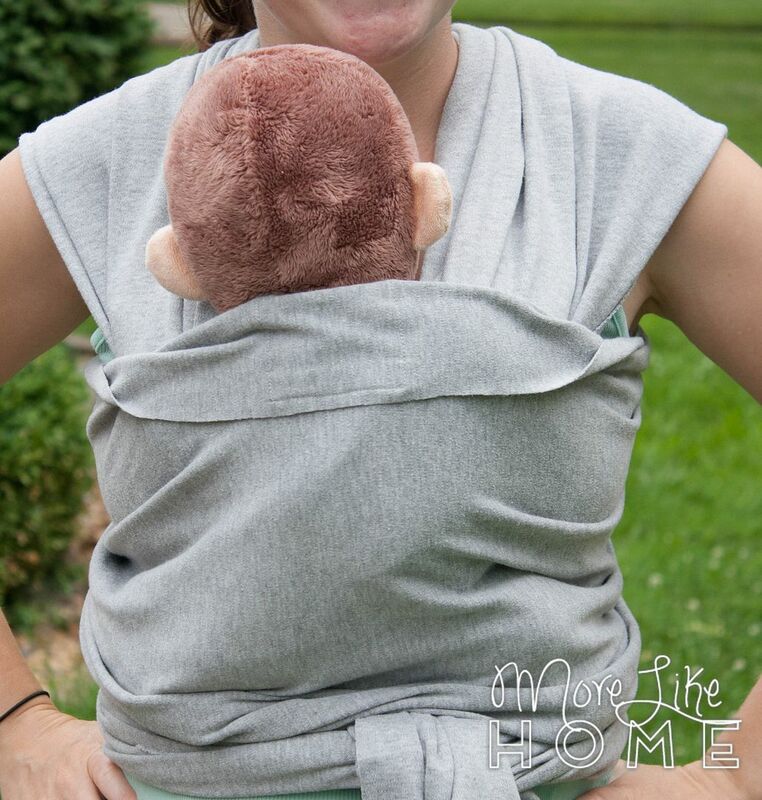 We don't have a baby yet so Curious George is modeling our new wrap. 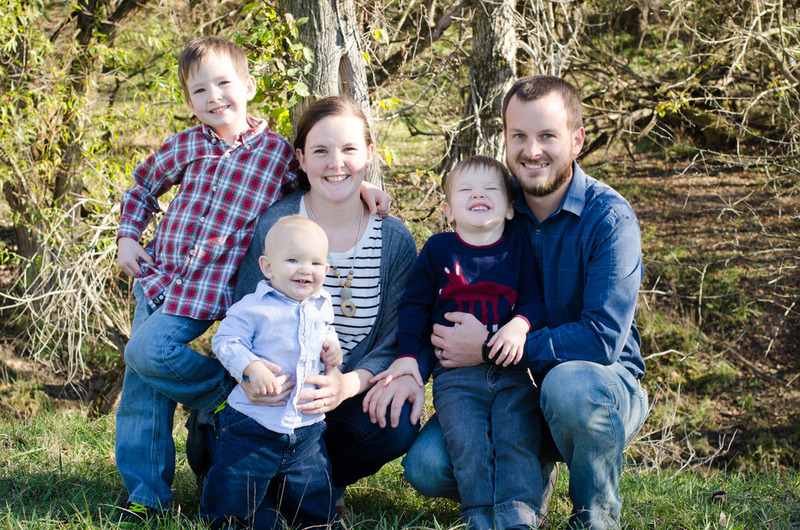 For some reason we decided to take this picture in the front yard so I was all "Hurry up and take it! Did you take it? Before the neighbors looks! Did you take it?!" 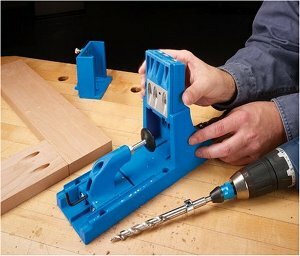 This is one of the easiest DIY projects you will ever take on. If you skip the middle marker patch, it's completely no-sew! We watched the Joann Fabric ads and coupons until we found the perfect storm last week - knit fabrics 50% plus a 20% off purchase coupon! It was such a good deal we decided to go with two new wraps (and each piece of fabric is wide enough to make multiple wraps so we will end up with extras for my sister). 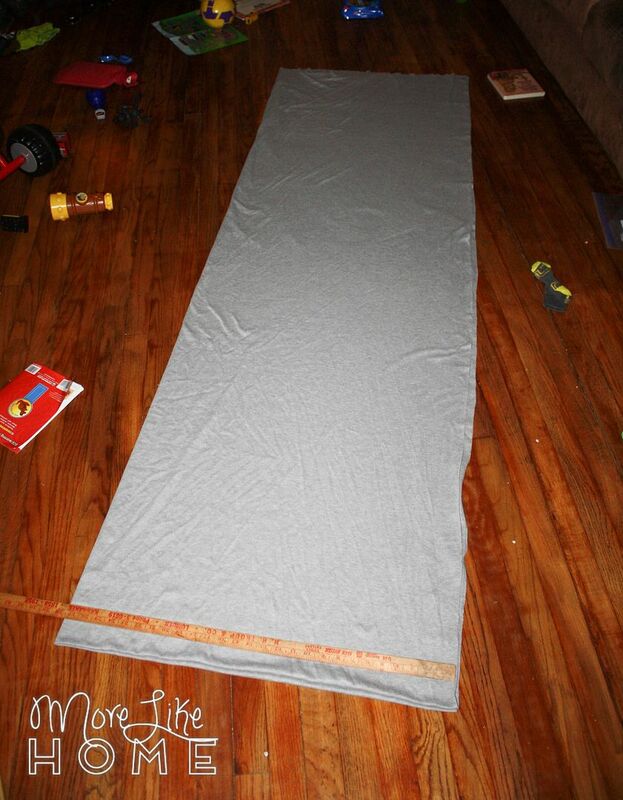 Measure in 20" from the selvage edge of the fabric (not from the folded edge!) and make a mark on the fabric. 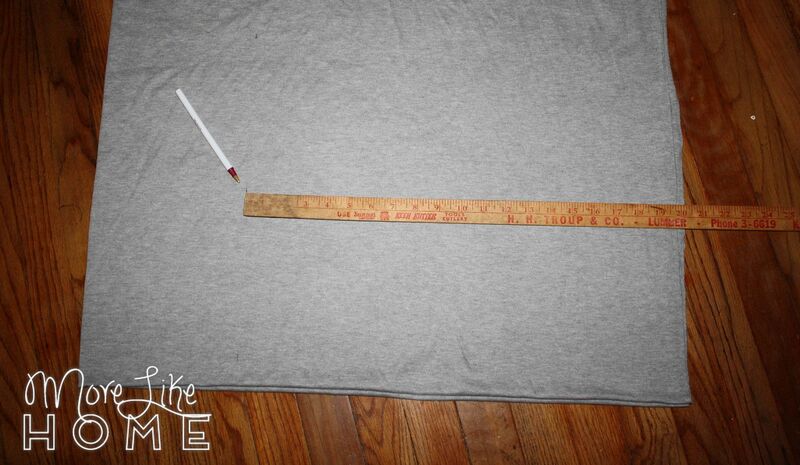 Work your way down the fabric marking every 6" or so. If you want you can use your yardstick to connect all the marks, then cut along the line, but I just winged and cut from mark to mark instead of taking time to draw a line. Close enough is totally fine for this project! 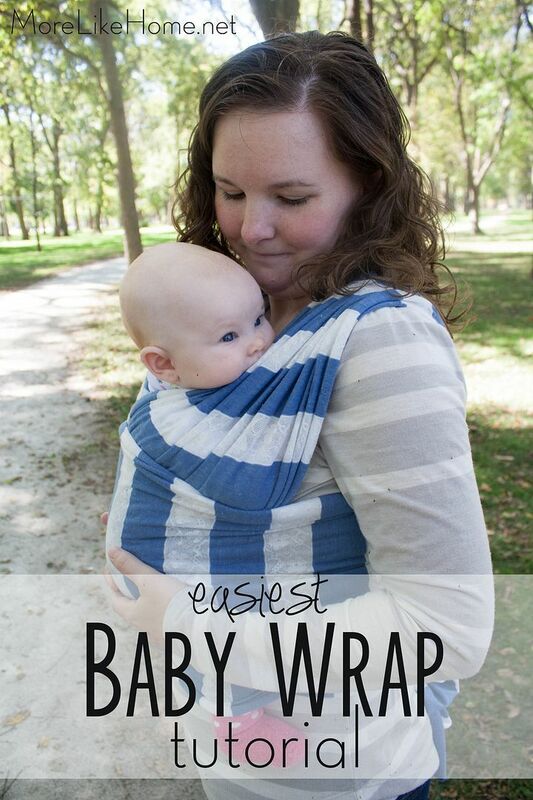 You'll be left with two wraps that are 20" wide and 6 yards long. 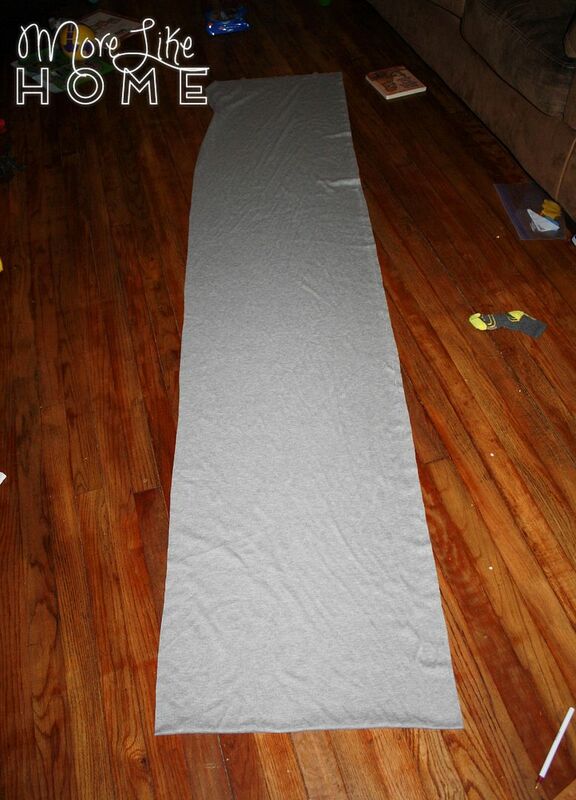 For my gray fabric I had a 15" wide strip left over, but the blue and white ended up being a wider bolt and I had a full 20" left over for a third wrap! 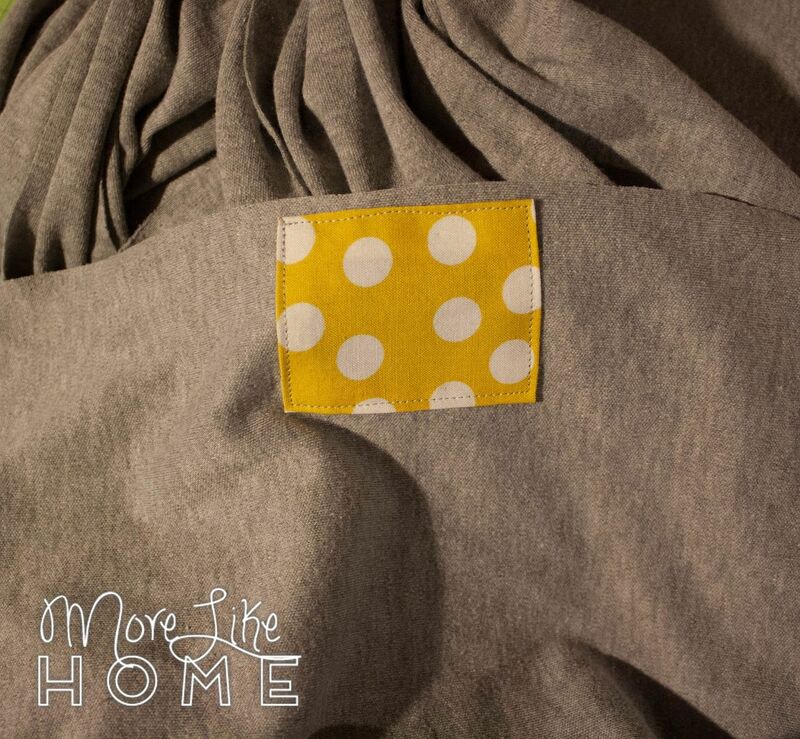 To make a middle marker patch, cut a square of lightweight fabric about 3" x 3" (or you can go with a full panel accent like we did here) and fold the edges under 1/4" and press. 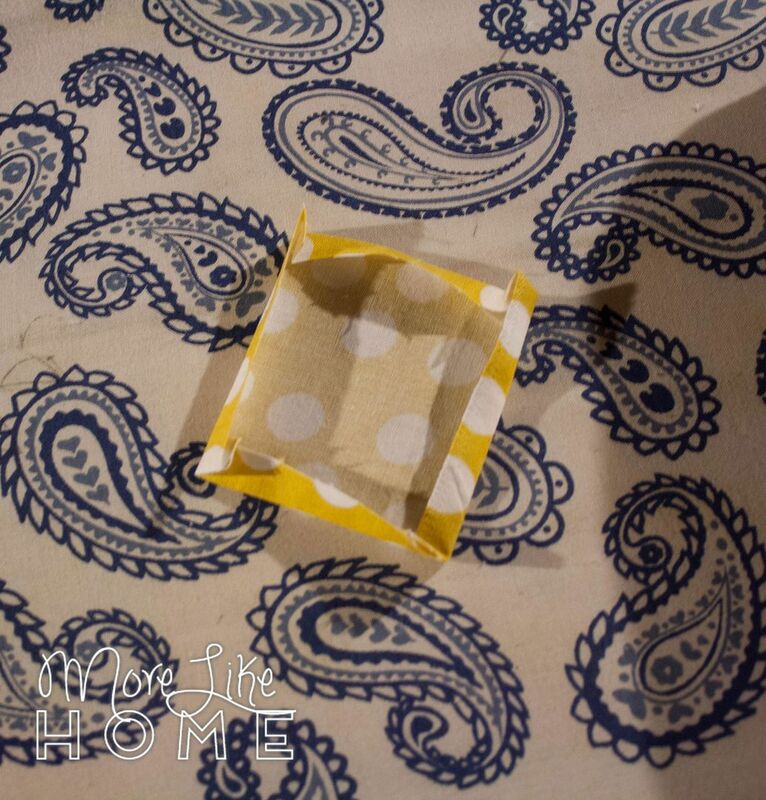 Fold your wrap in half to find the center, and pin the square near the top edge at the center. 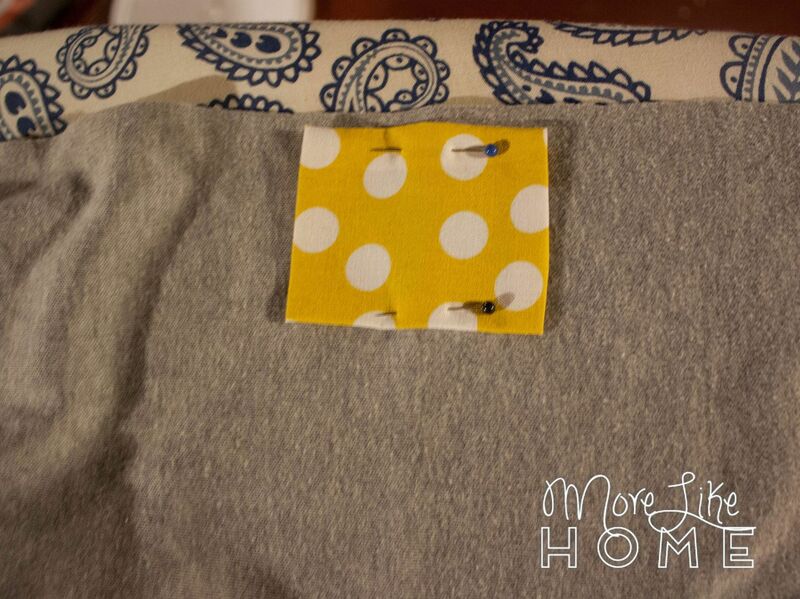 Sew right along the edges to attach the middle marker to your wrap. I didn't put a middle marker on the striped one yet. I'm just going to wait and see if not having one bothers me first. 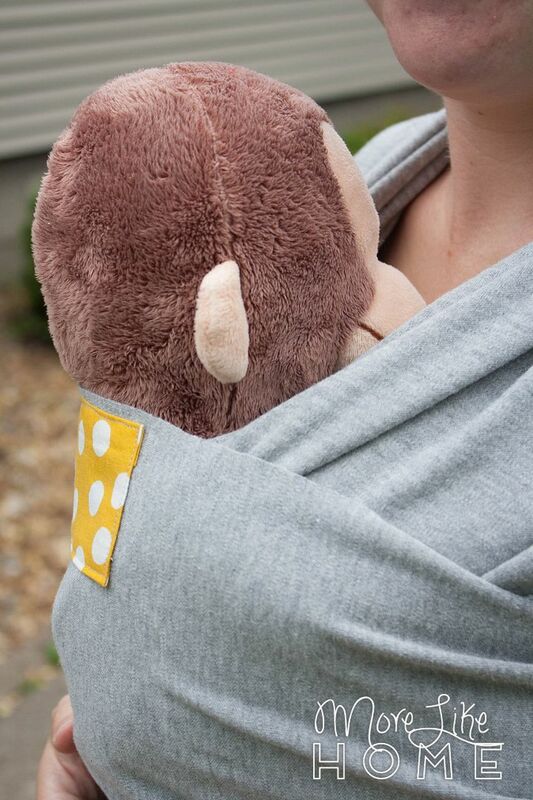 Wrap up your squishy little baby for some hands-free snuggles! 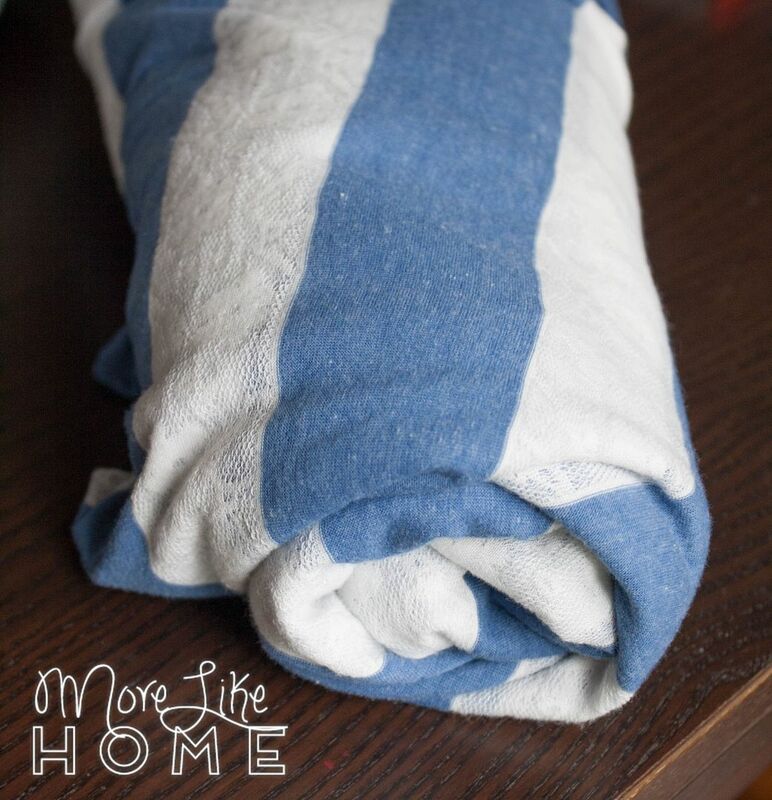 If you've never used a stretchy wrap before, this video is a great, simple place to start. Remember it's important for all three layers of fabric to go across your baby, it should be tight enough that he doesn't sag, and make sure his face isn't covered and his chin is off his chest. It may take a few tries to get the hang of it, but you will be so. glad. you did. 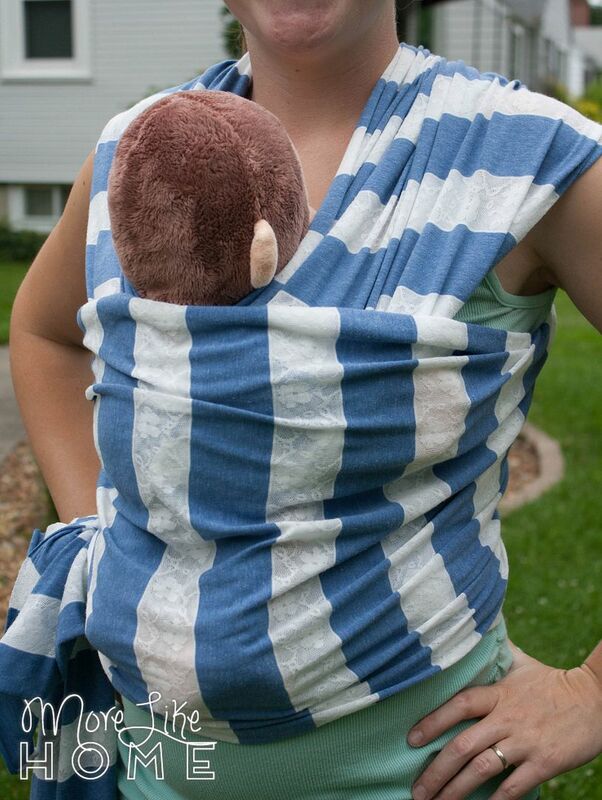 The striped fabric cost a little more than the gray, but since we were able to get three wraps out of it (and used coupons for both) it all came out to just $10 per wrap! When you're wearing your wrap you can fold the top edge down to cover the middle marker if you prefer. I'm really looking forward to this for a winter baby. 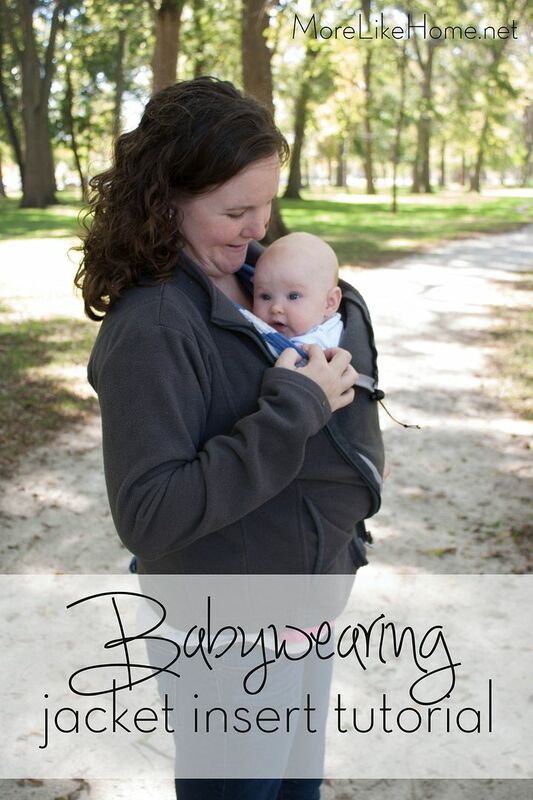 It's a great way to keep them snuggly and warm when we're out and about. 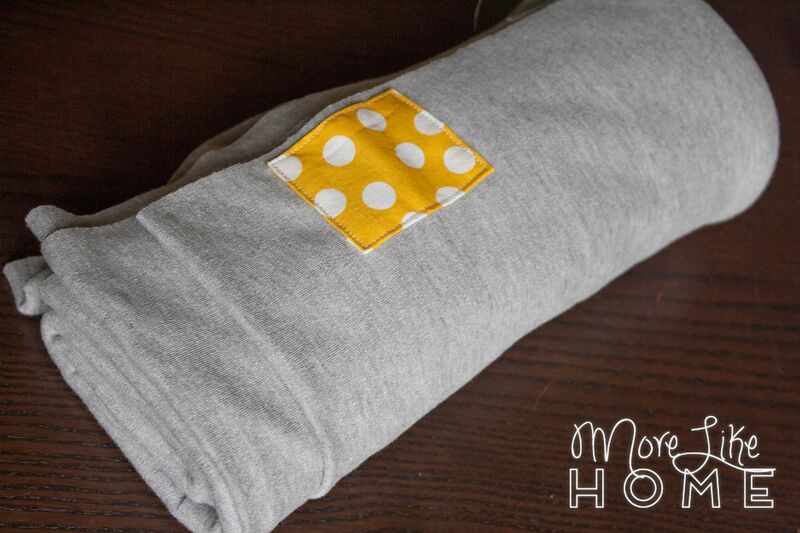 And to make things even easier in the cold weather, check out our tutorial for an easy DIY babywearing jacket insert! 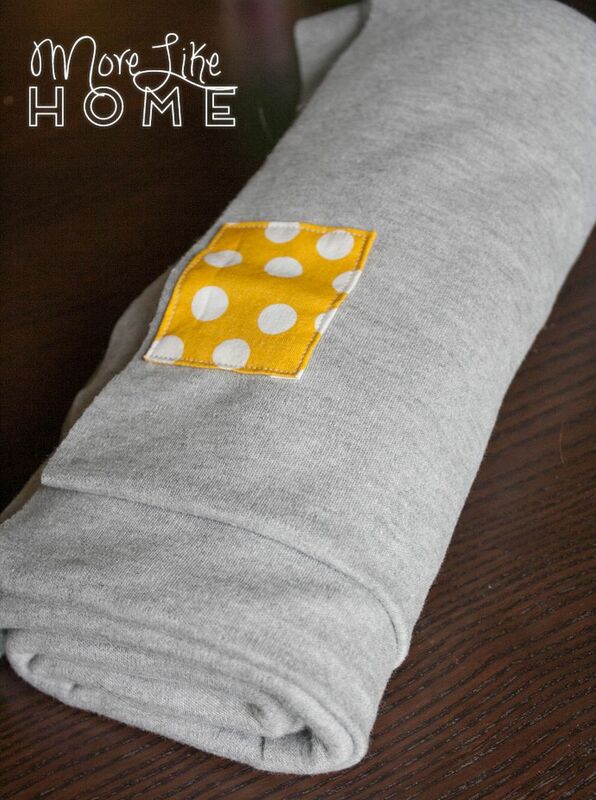 It's cheap, easy to sew, and you can make it work with whatever coat or jacket you already own! Have you tried a stretchy wrap yet? What's your favorite way to wear your baby?